When using land records, always note the consideration listed on the document in addition to the real property being transferred. 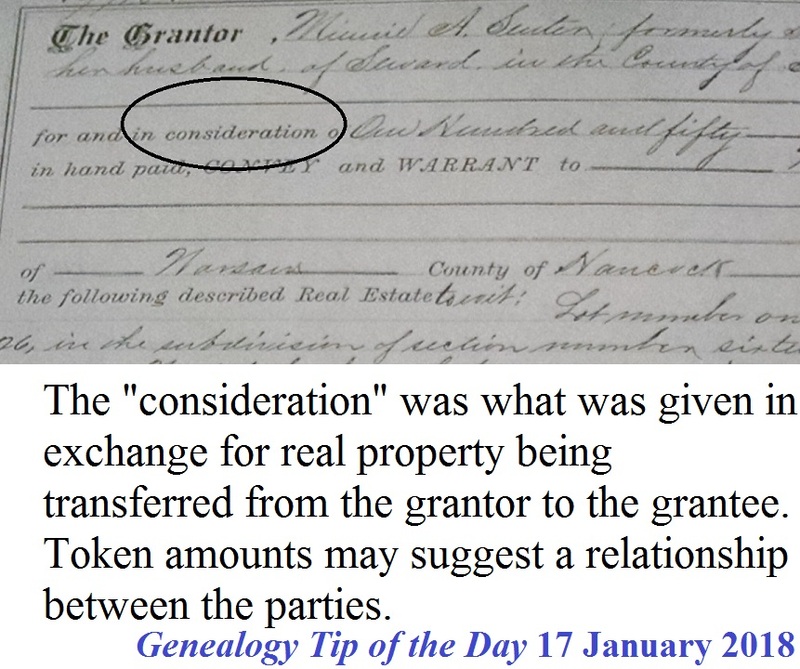 The “consideration” was what was given in exchange for real property. Token amounts may suggest a relationship between the parties. Small consideration amounts compared to other deeds for similar properties may also suggest a connection between the parties involved. The older deeds are good in giving the actual amount paid for the property. However, most of the recent deeds that I have seen do not give the actual amount of the purchase price. It may say something like in consideration of $10.00 and other valuable considerations. ← That Tip Didn’t Work For Me!